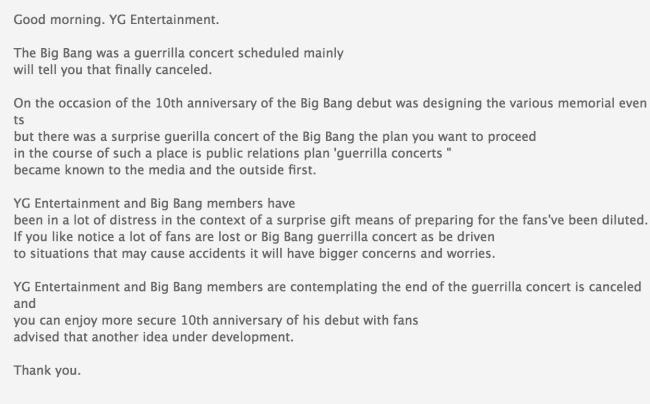 BIGBANG's upcoming guerilla concert was cancelled by YG Entertainment following concerns over the safety. 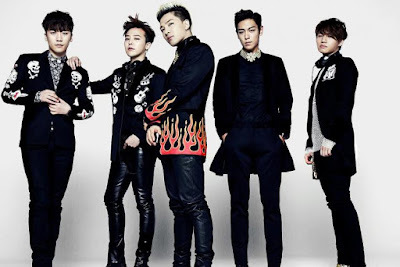 Although disappointing, YG Entertainment made the announcement on May 20th, citing safety concerns as the main reason. 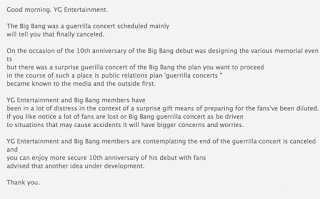 Initially the group was planned to carry out a guerilla concert to commemorate the 10th anniversary. The agency had begun to design various events and plans for the concert, which eventually leaked to the media and fans. All parties involved, including fans, found it concerning since the risk of accidents are higher. The event was eventually cancelled with an assignment being posted on the agency's website.